For the first time in at least five years, Mission AZ’s 18U AA team can call itself a state champion. 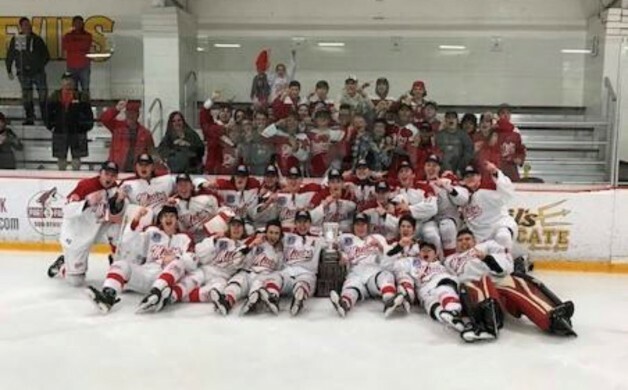 Mission capped off its stellar season and run through the Arizona Amateur Hockey Association state tournament March 17 when it completed a sweep of its best-of-three finals series against the DYHA Jr. Sun Devils. They beat DYHA 3-2 in the series opener March 16 at Oceanside Ice Arena in Tempe and finished off the championship with a 2-1 win on St. Patrick’s Day. The pot of gold at the end of their rainbow will be the USA Hockey National Championships, which will be held in San Jose, Calif., from April 4-8. Goltz planned to give his team a few days off before returning to practice and prepare for Nationals. The team’s roster includes forwards Dean Angelo Jr., Johnny Baird, Nicolas Coppola, Jake Fain, Christopher Fritz, Matt Gary, David Jaichner, Benson Middendorf and John Salyer III; defensemen Brian Baier, Scotty Bird, Jordan Gaeta, Luc Spinasanta and Joel Tessmer; and goalies Matthew Diamond, Chase Golden and Taz Joplin. Goltz is assisted on the coaching staff by Terry Tessmer and Chris Carouchi. Coppola scored two goals in Game 1 of the state championship series, while Werner added one and Tessmer had an assist. Golden stopped 37 shots on goal. In the series clincher, Werner and Weber both scored, and Golden turned away 33 shots. Goltz said that this year’s 18U AA team is the type that doesn’t have superstars but has received contributions from every player on the roster. He emphasized that the level of success the group has achieved wouldn’t be possible without that being the case. He said his captains have really stood out for their leadership. 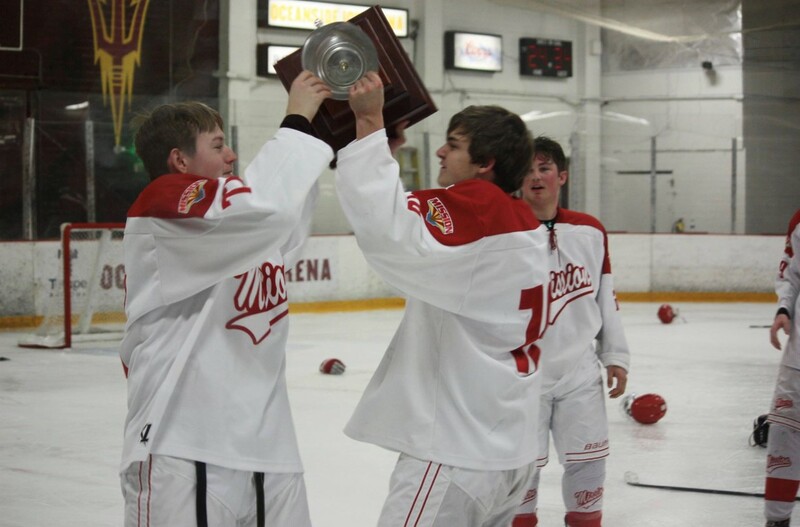 That group includes Fritz, Coppola, Spinasanta, Bird and Golden – whose performance between the pipes in the state tournament he singled out as one of the best he’s ever seen with the pressure of a championship on the line.